No, you can't have the photo for your website, so don't ask. 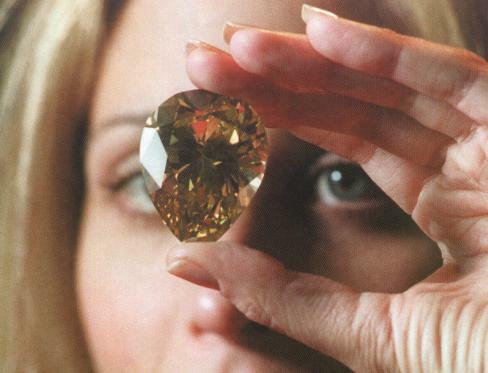 This 200.86-carat brownish-yellow pear-shaped diamond was cut by the William Goldberg. It is reputed to be Internally Flawless. It was offered at auction in the early 2000s but did not sell. Further details lacking.